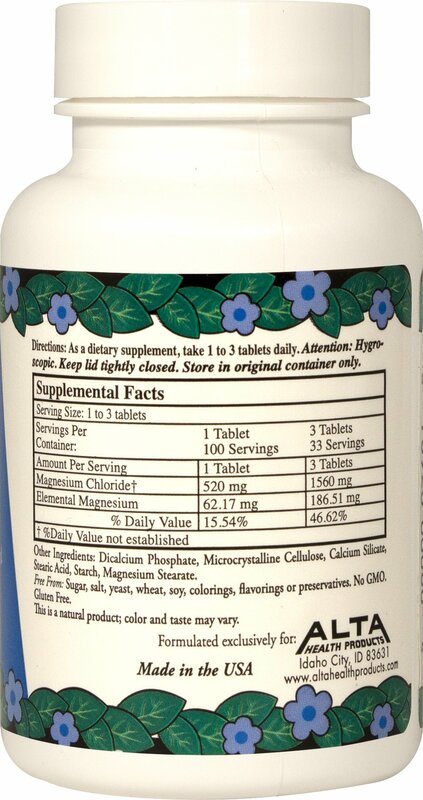 A simple form of magnesium that is readily absorbed. 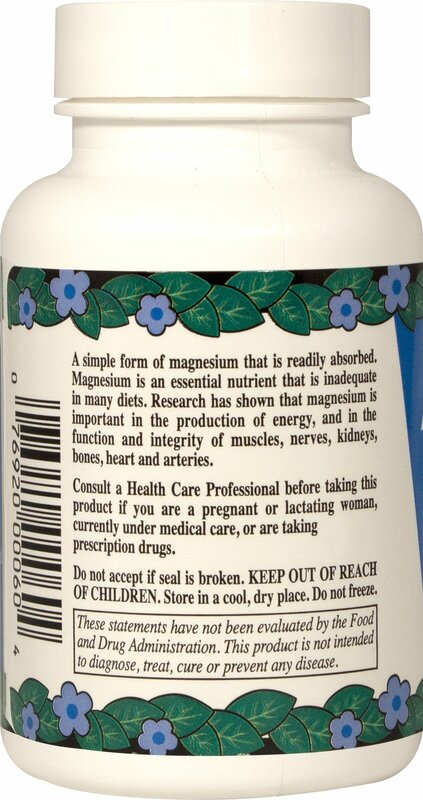 Magnesium is an essential nutrient that is inadequate in many American diets. 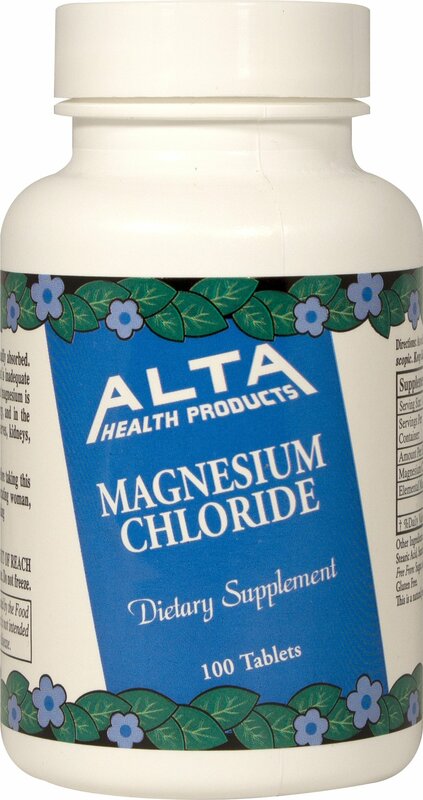 Research has shown that magnesium is important in production of energy, and in the function and integrity of muscles, nerves, kidneys, cones, heart and arteries.